A Mississauga, Ont., man has unveiled something few people in the world have ever seen: what could be the world’s biggest natural pearl. Abraham Reyes, 34, kept the family heirloom in a safe deposit box, after it came to him from his aunt a few years ago. The pearl weighs 27.65 kilograms, four times the weight of the Lao-Tzu Pearl, also called the Pearl of Allah, which until recently was thought to be the world’s largest. Dubbed the Giga Pearl, it is white and cream-coloured and looks like a huge tooth. It’s about the size of a baby. His family didn’t know it was worth anything — didn’t even know it was a pearl. “Nobody really looked at it … it doesn’t look like a pearl,” he said. But his aunt had her suspicions and so did Reyes, who works as a mineral broker. Two experts recently told him it’s the largest pearl they’ve ever seen. Insurance appraisers say it may be worth between $60 million and $90 million. “It’s priceless to me,” Reyes told CBC Toronto, during an exclusive viewing of the gem at a downtown location. Now he wants a place to show it off — maybe at a museum? 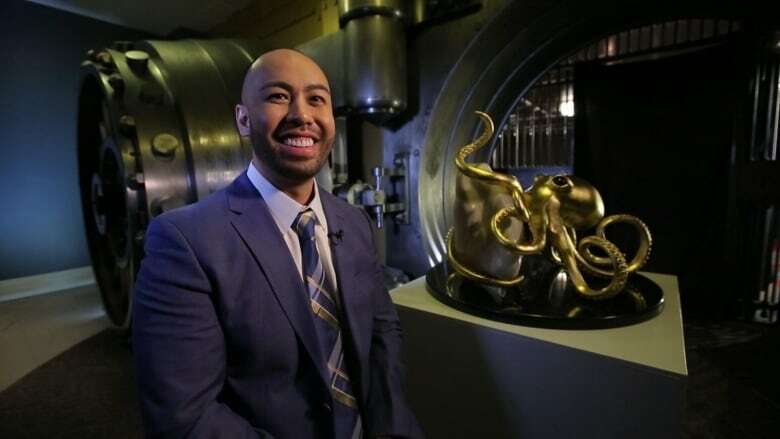 — complete with the 22-karat gold leaf octopus he had built to hold it. “I want to find a place for it to be showcased,” he said, adding he believes the pearl has scientific importance. 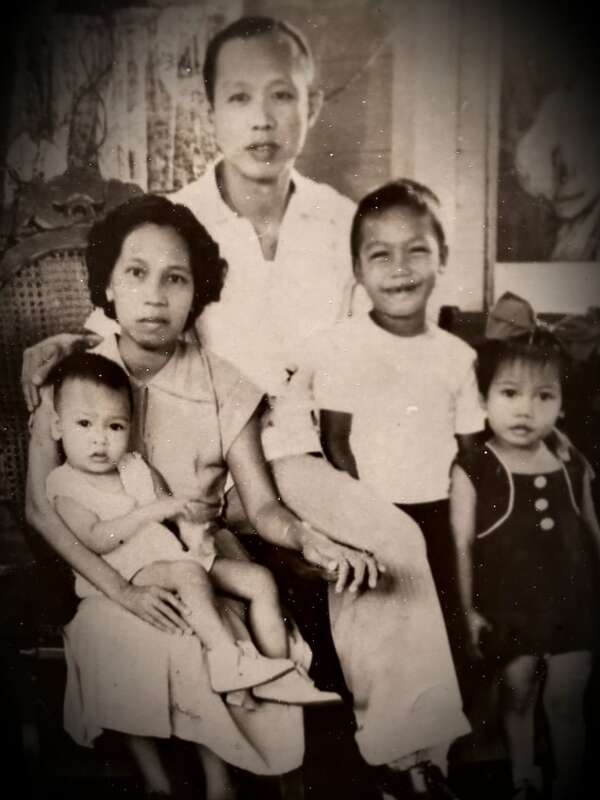 The pearl has been in Reyes’s family since 1959. It was given to his aunt by his grandfather who came to visit her in Manilla and brought a giant clam as a gift or pasalubong, a custom in Filipino culture. The pearl was inside. “These giant clams were very common. They were used for baptismal baths. Some of them are even in gardens… some of them had abnormalities that they didn’t know were pearls,” said Reyes. Reyes’s grandfather bought the clam from a fisherman in Camiguin, a small island southeast of Manilla that is surrounded by volcanoes and turquoise waters. “To me I feel very honoured to have it. I feel a great responsibility.” Reyes said. Reyes felt it was important to have the pearl authenticated so he sought the help of a consultant in Asian art, Anthony Wu. Together they took it to be tested at the Gemological Institute of America in New York City. “There’s no other recorded example of such a massive giant pearl that’s even remotely close to this piece,” said Wu. The pearl is believed to be more than 1,000 years old.